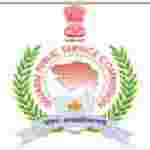 Gujarat PSC Superintendent recruitment 2016-17 notification apply for 10 posts : Gujarat Public service commission (GPSC) welcomes application for the position of 10 superintendent of Fisheries class – II in Gujarat Fisheries service under the control of commissionerate of Fisheries, agriculture and co-operative department vacancies. Candidates who completed their Post – graduation degree, post – graduation diploma is a good opportunity.The individuals who are the occupation seekers searching for govt employments in Gujarat this is the best chance to apply. Competitors read the official notification then read all the guidelines and miners precisely then apply before the last date online application got. All the interested and eligible candidates online before 30th July 2016. Candidates Age Limit: The age of the candidate should be up to 40 years. The age of the applicant should be as on 30th July 2016. Academic Qualification details: Candidates should have possess a post – graduation degree in fisheries science or in master degree in science with one of the subject namely (i) Fisheries resources management (ii) Adquatic biology (III) mari cultire (IV) post-harvest technology (v) master science (vi) zoology or two year post – graduation diploma in fisheries science obtained from any of the universities established or incorporated by ot under the Central or state act in India. Official website: All the interested and eligible candidates can apply online through official website of Gujarat public service commission (GPSC) http://gpsc-ojas.guj.nic.in from 15th July 2016 to 30th July 2016.